Home » Uncategorized » Networks Demand Leadership. Make Your Choice. Act. Networks Demand Leadership. Make Your Choice. Act. Leadership in networks is less about the position you are assigned. The opportunity is the role you choose and the challenge is building authority. The job might be assigned, but the role is chosen and your authority is earned. The networks in and around your organisation are waiting for you to act. If you don’t act, they will move on without you. Think about your organisation. There is a formal process to get a decision made, but everyone knows that the real decisions don’t follow the process. There is informal lobbying. Often someone who is not the decision maker is hugely influential. People chat casually testing positions. Additional information is shared. Deals are done. Trust and credibility play a key role in influencing the ultimate decision, often more than the facts on the table. These actions are all examples of a network working around the potential obstruction of a hierarchical role or process. These conversations are all examples of how ‘two-way flow of power and authority’ is shaped by people’s actions to demonstrate ‘knowledge, trust, credibility and a focus on results’. If you aren’t results focused, aren’t performing the roles required or the network doesn’t have confidence in your actions, a network of people working together will start to route around you. Your failure to lead others becomes an obstruction. No matter how fancy your title or your place in the hierarchy the network will start solving for the obstruction that you represent. The network in and around every hierarchy is what makes the hierarchy functional. To avoid being an obstruction, you need to focus on your authority and fulfilling the roles that advance the needs of the organisation and its networks. Your job won’t save you. Leadership in networks is not an abstract and exalted status. Every person in a network is connected. Leadership is demonstrated when people take on needed roles and others move to action. Leadership is the technology of realising human potential. Leadership is the technology that inspires and enables others to action. That takes a decision to embrace a role, action, influence and authority. In networks, including the networks wrapped around your hierarchy, that authority comes from action, not position. The differences in influence and ability to create value come through action. Action is what builds authority. The best way for someone to assess your ‘knowledge, trust, credibility and focus on results is to experience it’. Authority grows influence with other people in the network and that accelerates further action. If a network needs to go around or outside the hierarchy to solve a problem it does. All it takes is a connection for your network to extend further. Network leaders need to ensure that their leadership goes outside their hierarchies as well. Customers, community, other stakeholders all influence your knowledge, credibility, trust and focus on results. Sharing the voice of the customer or the community can be a significant part of influencing change. Try to have influence internally without influence externally and you will find over time that your credibility erodes. 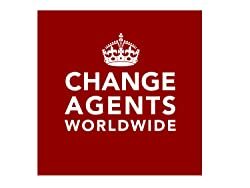 Celine Schillinger has described how change agents can find that they need to build credibility externally to be more influential in their internal networks. Leadership is a Choice. A Choice to Act. Taking on a leadership role is a choice. It is a choice to help others make something happen and enable them to realise their potential. Whether you are in a hierarchy or a network matters little. The same rules apply. The choices that you make, the knowledge that you gather, the influence you build through credibility and trust determine your authority as a leader and whether others will follow. Nobody has to follow you. 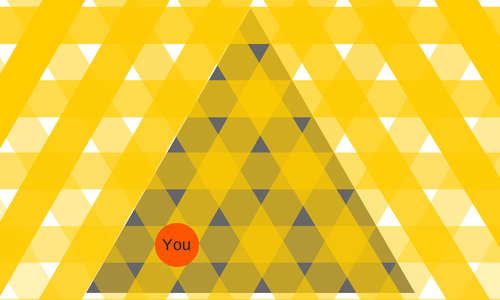 Our hierarchies are a fiction that supports our need for status, order and clarity. The networks in and around your organisation know that and work around the hierarchy every day. That same network is waiting for your choices and the actions that follow. By simongterry in Uncategorized on 02/06/2014 .